Can we still make 4th in the League? Can a win the lottery the night? Hopefully wee Danny will be back where he belongs in the saints dugout getting one over on his old team. More pish on a plastic carpet, no thanks. Don't give a f**k for this business anymore whatsof**kinever. I think that since X factor is on all the bastarin TVs in this gaff tonight is just sending me radge, I could easily be an angry drunk tonight. Pretty sure Alloa have a grass pitch now. I`m sure their pitch is the one which looks black with the amount of little rubber balls they put on it !! Their pitch is one of the worst 3Gs in the country. No excuse though, Murray is gone so now we'll see the so called "best" of these players. I wouldn't be so sure, this is by far the worst side we've had in the past 20 years. The players signed by Murray have been garbage right from the off. Whoever gets the gig is on a hiding to nothing with the current bunch of imposters. Its not down to our players ability if it was we would win easily, but as Alloa, Sons and Livi have shown they can get down to digging results, we are powder puff. Can only see one result a home win, our players have not got the mettle to cut it. We don't just need a new manager we need a total change in mindset, that's why we cant win at home. Mid December and Morton have double our points. 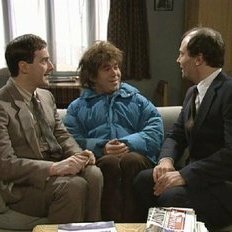 Barry Ferguson geez are the BOD just totally lost it? Yeah I was on the mobile so couldn't post a tongue in cheek pic. I remember Alloa sticking 4 past us , this is going to be a tough game . Our season starts now . Time to forget the nightmare that was Murray . Let's get behind the new man caretaker or otherwise . Time to a least salvage some pride . Ok I am going to do a LPM here. Pride???? These guys have none and whilst its easy to blame Murray we have some total losers who are taking a wage. Imposters . Aye. The way the team's been playing. 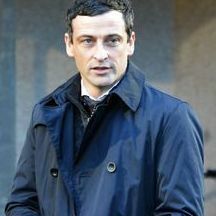 Jack Ross has just been appointed Alloa manager..
Now that is seriously worrying. We need to get our act together. And fast. 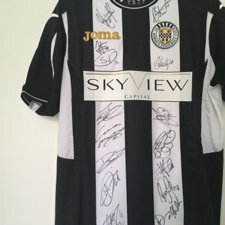 I can remember when pulling on a St.Mirren strip meant something. I wish some of the dud players we have at the moment would take this into consideration. Any new manager coming in will not only have to put out a team that wins games at times but also put out a team that is going to play with some desire and passion for the club. I had touted him as a replacement for Murray, with Miller as his assistant, or indeed vice versa. You know what this has got written all over it?